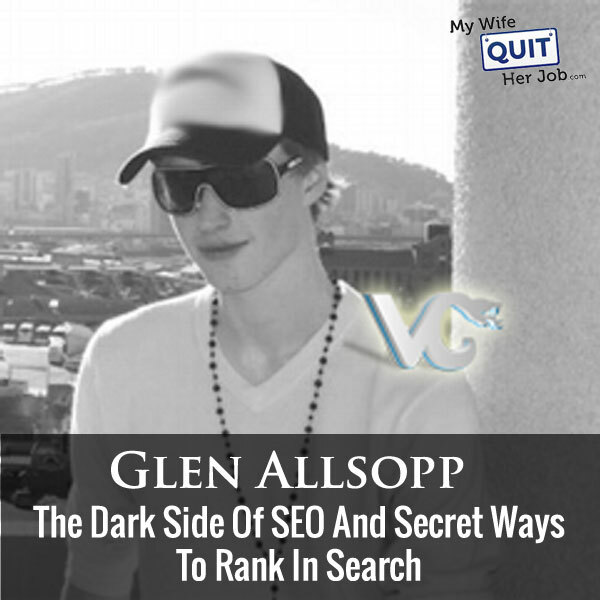 Today, I’m thrilled to have Glen Allsop on the show. Glen runs the awesome site ViperChill.com where he teaches people how to get traffic to their websites. Glen and I actually go way back to 2010 where we were members of the same blog voting group and we’ve loosely kept in touch since. He’s got an amazing array of articles that go into incredible depth. I want to say a short post for him is like 3000 words. And the reason why I follow Glen’s work is because he talks about topics that other people would not dare talk about. For example, he talks about his experiments with private blog networks. He does in depth analysis on link building, both white and grey hat tactics. He doesn’t write very often, but when he does he always drops an atomic bomb in your brain. And with that, enjoy the episode! How to avoid getting penalized by Google and why big companies are getting away with it. Some SEO tactics big companies are using that are black hat. Which grey hat tactics would Glen consider using for new sites. Glen’s main strategy when it comes to ranking a site in search. Where Glen promotes his content. Intro: You are listening to the My Wife Quit Her Job podcast, and if you are new here, it’s a show where I bring in successful bootstrapped business owners to teach us what strategies are working and what strategies are not. Now I don’t bring on these famous entrepreneurs to simply celebrate their success, instead I have them take us back to the beginning, and delve deeply into the exact strategies they used early on to gain traction for their businesses. If you enjoy this podcast, please leave me a review on iTunes, and if you want to learn how to start your own online business, be sure to sign up for my free six day mini-course where I show you how my wife and I managed to make over 100K in profit in our first year of business. So go to mywifequitherjob.com, sign up right there on the front page, and I’ll send you the mini-course right away via email. Now on to the show. Welcome to the My Wife Quit Her Job podcast. We will teach you how to create a business that suits your lifestyle so you can spend more time with your family, and focus on doing the things that you love. Here’s your host, Steve Chou. Steve: Welcome to the My Wife Quit Her Job podcast. Today I’m thrilled to have Glen Allsopp on the show. Glen runs the awesome site viperchill.com where he teaches people how to get traffic to their websites. Glen and I actually go way back to I want to say early 2010 where we were a member of the same blog group, and we’ve kind of loosely kept in touch ever since. He’s got an amazing array of articles that go in to incredible depth. I want to say that a short post for him is like 3,000 to 4,000 words. I’m not even exaggerating. The reason why I follow Glen’s work is because he talks about topics that other people would not dare talk about. For example, he talks about his experiments with private blog networks. He goes in depth on analysis on link building, both white and grey hat tactics. He doesn’t write very often, but when he does, he always drops an atomic bomb in your head. With that welcome to the show Glen, how are you doing today man? Glen: Steve I’m very here. Thank you for that awesome introduction. Steve: It’s been so long, and jeez I’m so happy to have you on the podcast today. A bunch of people in the audience probably know who you are, but if you won’t mind just giving a very brief intro, how you got started online and the history behind ViperChill, your agencies and basically what you’ve been up to online. Glen: Yeah, sure. It was my birthday last month. I turned 27 years old. The reason I say that just to put things into perspective. I actually started ViperChill 11 years ago. So I was 16 years old. You can go and check that in archives. You can see how terrible my website designs and my writing used to be. ViperChill was pretty much one of the first sites I started. It was actually the second website. The first website I started was a Deejaying website. I was trying to get into Deejaying at the time. I wasn’t trying to get famous; I was just at home and having fun with it. I turned tables and stuff like that. I set up a website about it and no one came. I decided to learn about how Google works, and we started ranking for things like Deejay forums and reviews for particular equipments and stuff like that. I realized I was actually having a lot more fun working out how Google works than it was actually learning how to mix tracks together and matching beats and stuff like that, so I started ViperChill. It was very much a kind of a diary of my SEO experiments. Like I said it was just something I seemed to enjoy far more than actually the original reason I had actually learned SEO in the first place. As you said, we go way back, so I think 2008, 2009 something like that. I have 6, 7, 8 years now. I started plug in ID. I had just moved to South Africa. I got offered a job there when I was 18. Someone had found me, they were reading my blog, they found me on an SEO forum and they said, “Would you like to move to South Africa and come and work for us.” I was in college at the time. I had a part time job in a closed store in the UK. I turned it down. I thought it was ridiculous. I don’t know anyone in South Africa. A few weeks later, I was 17 about to turn 18, I moved to Cape Town, South Africa and that’s where I started plug in ID. If anyone listening, it’s no longer online. I did end up selling that website. But yeah, that’s pretty much how we met and how my journey started. Steve: I was just kind of coming through your blog and on your about page I think it said that you cleared 7 figures last year in 2015. I’m pretty sure that ViperChills isn’t really monetized. I was just wondering what you guys do actually just to generate revenue? Glen: A lot of– we talked a bit about before the show. What I spent the last few years doing. Kind of go back to my original story a bit. I got to work with all these amazing clients in South Africa. I got to do instant marketing for like Land Rover and Nissan and Hewlett Packard, like the South African division. I got to work with all of these awesome clients, but the problem is, I soon learned when you are working with these awesome clients, although it sounds good, they are so slow to making any changes that you recommend. You know if there’s an article I think they should write that could go viral, or an SEO change that they should implement to get more search traffic, that has to go to my manager, to their marketing manager, to their legal team, back to their manager, back to my manager, back to me. A change that should have really taken like a day for a personal website could take two months for one of these big clients. It wasn’t really ideal. What I started doing on the side was I know about SEO, I know how to rank. I started deciding to rank more websites. I got into the affiliate kind of stuff and ranking websites that way. Like I said, one of the first websites was ViperChill and I just really loved doing SEO, and especially doing it for other people and new challenges and stuff like that. For the last two or three years now, we have built– so I say we is my business partner Diggy. We have built almost a dozen, so 10 or 11 I think maybe now niche focused SEO agencies. So we have an SEO agency that only works with companies in Singapore. We have an SEO agency that only works with car dealers in the US, and so on. The reason I do that, is so it’s all one company, but the reason I separate all of the branding is because these companies, they want to work with someone who they feel, this is the guy I want. When you are selling SEO, you’ve got to compete with hundreds of thousands of emails that companies get saying, “Hey we can do SEO for you. Do you want SEO or do you want link building.” You don’t stand out. It’s very difficult. What we did is we branded ourselves to say the SEO agency for Singapore, and yeah when we contacted people they would say, “Oh he’s doing SEO, but he only does it for guys in Singapore. He must know what he’s doing.” Pretty much all of my revenue for last year and pretty much the three years before that as well is just doing SEO for clients. Steve: So that’s really smart. I imagine you pick very lucrative verticals to go into. You mentioned car dealers, right? Steve: That means you probably own like all the SEO guys from the car dealerships I would imagine, right? Glen: It’s actually very competitive space. Steve:	Oh it is, okay. Glen: The reason I got into it is actually I found two brands. I’m trying to remember their names right now. I think one is called Auto Shop Solutions, and they build websites just for car dealers. There was another one who do like mailings, like direct mailings for car dealers. They print out the little fliers they can send out to potential clients and so on. I thought these guys have been doing a lot of money doing website sign just for car dealers. These guys are making a lot of money doing direct mail just for car dealers. I want to try SEO. Steve: That’s a very compelling argument. What I really like about you Glen as I mentioned earlier is that you cover topics that no one else really covers, and that just makes it super interesting. You talk a lot about SEO in your posts, and I was hoping to kind of steer the conversation towards like anomalies and grey hat tactics that are still working to rank in search today, even though Google has pretty much scared everyone from manual link building. Steve: So let’s start with– you mentioned private blog networks earlier in our conversation. Are those still working, and is it dangerous? Glen: First of all they definitely still work. Two to three years ago they were, I can’t say they were working better, but people were less scared to implement the tactic. So people were, I could happily say, “Hey, I run private blog networks,” and though people thought it was a bit, not purely white hat, they don’t really have such negative opinion about it. And then the official Google announcement came that we are cracking down the link networks. Everyone got scared and worried about it and so on. When Google say something you know people listen and they get worried. I find today that the guys who do private blog networks and the people who build them generally do so privately which is myself as well. I still rank affiliate websites to this day and little niche websites. I don’t do this for clients, but I think it’s important to know what works. I think any good SEO should know all of the “earned links”– I’m making little speech bubbles speech marks with my fingers here. They should know what works naturally and what’s on the other side of the fence as well. They are generally frowned upon by Google. They are kind of frowned upon if you say you offer that as a service or you do it. But as long as you can build them in a way that’s– it’s some way to review the website manually, it would look like a legitimate website, then for the most part you can be pretty safe. That being said, you know if you are working with a huge client, you know like Land Rover or Hewlett Packard or something, obviously I wouldn’t go and do that for them. They could get a lot of negative backlash and so on. If you are happy to do it privately and for your own websites, it’s definitely something I would be comfortable recommending as long as you know the risks involved, but as far as doing it for clients and big brands and stuff like that, generally a no, no with that tactic. Steve: I mean if you are doing a private blog network just for yourself, really that’s just a collection of websites then at that point, right? Glen: Yeah, so it’s let’s just say you want a website, you want to rank for how to learn Spanish or something like that, and you want to sell a video course or an eBook or whatever on that topic, then you would go, and the way to rank in Google, a very simplistic way to break it all down is that you need links. So you need other websites linking to you. Now it’s not the easiest things in the world. There are tens of thousands, maybe hundreds of thousands of websites on how to learn Spanish. They are all trying to compete. They are all on traffic from Google. They are all trying to get links. It’s not that easy. The short cut and the route many of us take is to go and build your own website on the similar topics, building out other websites on how to learn Spanish, and then linking them back to my original website in the hope that we’ll rank higher. Steve: How do you get those, I mean there’s only so much time. You probably have to spend a lot of time to build up the sites in your blog network. Glen: To be honest, my own experience is that the blog networks themselves do not have to be very good sites at all. Actually, especially two years ago, I would set up websites that were just three or four pages. They would still pass for what we call like link juice to what we also call the money site, that’s a website that we want to rank. They would still pass the juice. What you want to do is to kind of again the speed up the process which is why we do private link networks in the first place, and to kind of level the playing field a little bit is you want to find domains that used to be used for a website originally. So someone had build a website, they’ve build a resource on the topic and for whatever reason, they let the website die, the domain expired, you can go and register it and so on. Then what we do is go pick up those domains that expired, put a website on it. There are people who recommend copying the old content. I would never do that. First of all it’s illegal. But there are actually a lot of services out there that would copy the content from a website, how it used to look like before it experienced. But I will just build up new content on that website. And the reason we do this is because people were already linking to that website originally, so it kind of has again the most authority that it can pass on to your website. Steve: Interesting. Yeah, I heard about this like a couple of years ago, but all of a sudden like no one started writing about it anymore. It’s still in fact is effective is what you are saying? Glen: Yeah, and the reason no one is writing about it like I said is because of that Google update which made everyone, if you want to have a clean image when you are talking about internet marketing and SEO, then you kind of veer away from talking about private link networks. Steve: I see, I see, interesting. So you recommend doing it just for yourself. I was going to say like the point of a private blog network is to be able to sell access to it. But it sounds like no one is really selling access to it. They are being extremely careful about who they allow into this network. Glen: Yeah, there are certainly quite a lot of people who still sell access. I used to do the same. I don’t do that anymore. I actually sold the business that I did that with. So there are definitely people who still sell access to their private networks, but you are more likely to find them on private forums like Black Hat World and so on, than you are people being open about it in public like there used to be. Steve: I see. One of the things that also intrigued me lately, and you are not the only person to have told me this, but there’s all these places where you can still buy back links on very reputable sites. Is that still going on with some of the larger companies that you know of, and like is it risky and where can you find places to do this? Glen: What a lot of people do to get links on the most authoritative websites, and I’m talking about Forbes, Huffington Post, ink.com, entrepreneur.com, and obviously the respected big brands in different industries outside of business and marketing is that they connect with the people who are writing articles for those websites. Of course, Entrepreneur, they are not going to have a big section in their websites side basting sponsored links and here’s all the links. What you can do is you can find someone who is regularly contributing to the website and say, “Hey I have a client, or I have my own website. I would like you to link to it. Would you sell a link in your next article, or is there anything else I can do for you?” I’ve heard of examples of people like fixing someone’s logo on their website in return for them writing about them on Forbes or something like that. It’s not always a direct money transaction, but generally it’s about reaching out to again the regular contributors. I can’t even speak today. I’m not going to try and say that word again. Reaching out to them and just seeing would they mention you. That’s kind of– I wouldn’t say underground, but it’s you know, it’s not something that they are going to be saying, “Hey pay me money and I will write for you on Forbes.” You have to connect with them yourself and see what you can do with that. As far as buying links goes and seeing opportunities, what I recommend if you want to see how deep paid links buying goes on the internet is find– generally it’s kind of open source software and open source tools, and they allow you to sponsor the kind of development of their tool and in return they will give you a link back as a thank you. Now of course any opportunity to get links, SEO will take advantage of. If you go to any kind of big open source software, open sourcing and people can get for free and they can download it and put it on their server whatever it is, even something like My SQL, they have a sponsors page, phpBB forum software. They have a sponsor’s page, and you will see the people who are already taking advantage of link buying. And then because I’m a real total nerd when it comes to this SEO stuff, not only will I see, okay who’s buying all the links in this page, but then I’ll go and check all of the other back links and you know you it just– if you keep going and you keep going down the warm hole, and seeing all of the sites that are buying links somewhere, you will find all of these other opportunities in other websites where they are clearly buying links. Now, again not all of them are very open, so they are not all honest like hey, sponsor us for a $20 and you get a link. Actually, one I contacted two weeks ago, has six sponsors and they look like kind of clearly generic websites, and they charge $10,000 a year for the link, so some people are paying a lot of money for these back links. Not all of them are open, and a lot of them you can see that the link is clearly bought, like it just doesn’t fit with the website. So maybe a website about WordPress themes and in the photo they have a link to law firm Michigan or something like that. Although they don’t clearly state that they sell links, you can, and I generally do contact them, and how much are you selling links, how much do you sell them for and so on. Again it’s not something you will see out in the open too much, but there’s definitely a big industry and a lot of money being spent on links. Steve: But if you can spot them, doesn’t that mean that Google can probably spot them as well. Glen: Yeah, well here is the thing, let’s just say, I can’t remember which one. Say my SQL, what it is the other one, phpMyAdmin, they also have a lot of sponsor links on their website. There’s no way to detect whether I went and bought that for myself or someone bought it for me, and try to do negative things to my SEO. What SEOs generally would like Google to state– so a couple of days ago I read this amazing comment by Danny Sullivan. Yes, you have to be careful with any kind of link building. What I do is again, you have to keep your mind this, although I could buy and be buying links for myself, someone else could be buying them for me, and you know I could be penalized. I think Google has to be very careful, and the ideal solution for pretty much everyone, not only I think for Google’s reputation but for SEOs and link builders is for Google to just not count links that they don’t think are worth passing on. I’m sure someone from Google already knows phpMyAdmin. You know it’s one of the biggest server softwares in the world used by millions of people. I’m sure if someone from Google found that sponsorship page, ideally they would just say this link isn’t passing any credit. You can keep buying it, you can keep thinking it’s helping your SEO, but actually we are not passing on any weight from this domain. Again, although some of these links are very easy to spot, we don’t know who’s buying them. It could be someone trying to hurt the reputation of someone else. So ideally they are just not counted and you don’t really know. Steve: If you decide to go this route, what are some best tactics to avoid getting penalized? Glen: If you are going to be buying links? Glen: I think the safest route is generally to try and get links in content. So contacting webmasters who blog, people who write for these big websites. There’s no– without speaking with the writer directly, there’s no guaranteed way to know whether or not a link was paid for. In my view although it’s a bit of an idealistic view, if I find a website of mine got penalized, and again this happens very, very rarely these days. Actually the people who tend to get penalized are the ones who are very public about their websites. I think it was Spencer Haws from Niche Site Pursuits. He was doing, he was using– I can’t remember exact thing. I think he was using PBNs, but he was very public about his case study and what was going on, and then a few months later on he got a thin content, or a bad back link warning, or something like that from Google. So it’s generally the guys who are public about what they are doing with SEO tend to get caught, because they are kind of admitting to their process, and those who are– I don’t really see any big penalties happening for a lot of sites. For example the last major Google penalty that kind of got the SEO world talking was for Rap Genius, and this was a couple of years ago now. They describe what Rap lyrics really mean and song lyrics, and they get millions of visitors a month. They were found to be doing some shady stuff like openly asking their audience for reviews and back links and so on, and they only got caught because they were actually asking about it in public. It wasn’t something like Google detected themselves. Someone blogged about it, and SEO blogged about it, Google saw that SEO’s blog post, and then they got penalized. So as I was going to say, if I find a website of mine is going to get penalized which is very, very rare, it hasn’t happened for a long time, I could theoretically go on build the same links for my competition, get them penalized and have a better website of mine ranking high. Steve: Right. So what’s really cool is that as I was just combing through some your articles in the last year, and you are pointing out that a lot of big companies are getting away with just blatant link building. And would you consider that black hat, grey hat, and why are they getting away with it? Glen: The post I think you’re referring to is my article 16 companies dominating Google? Glen: So originally that post was entirely supposed to be about one network. It was about Hearst Media and for those who don’t know Hearst Media they own brands like, Elle, Esquire, Cosmopolitan, Woman’s Day and so on. So they owned a lot of fashion titles and they took those to the web, and they all started linking to one website bestproducts.com. Now, I see nothing wrong with that, okay so Steve if you start a new website, it’s pretty normal for you to want to link to that from your own website not necessarily for such traffic and rankings, but to let your audience know I have this new website, and it’s fairly normal to want to link it from your website. So what they were doing is for all of their websites Cosmo, Elle, Esquire, Vogue, and so on you will see in the footer of those websites every single one of them links to a brand new website which is bestproducts.com. Now again, because they own the website, I don’t see anything wrong with that tactic. However, what I don’t really like seeing is that Google have massively rewarded this tactic. I can’t remember the exact numbers, but this Best Products is now getting a few million visitors per month from Google, and it’s only a couple months old. So anyone else trying to do the same thing for a product review website unless you work for one of these big brands, then you have no chance of getting those amazing links. So in my theory again Hearst weren’t doing anything wrong, but I really don’t like seeing Google give them so much weight, because it’s not something someone else can replicate, and in other words it’s just big money taking over. So I wouldn’t say it’s black hat or grey hat or anything like that. It’s totally normal for a website to want to link to their other websites, but as far as Google are giving it so much credit is pretty disappointing for the SEO world. Steve: I just want to take a moment to thank Bench accounting for being a sponsor of the show. Now I love running my ecommerce store, but you know what I hate doing the most, bookkeeping. Seriously keeping track of receipts, expenses, and especially inventory cost are easily the worst aspects of entrepreneurship hands down. And here’s where Bench accounting comes in. Bench is an online bookkeeping service that specializes in ecommerce businesses. They are experts at handling all ecommerce related reports whether it be from Amazon, Shopify, Bigcommerce, Stripe, you name it. All you got to do is sign up, and they will pair you with a team of dedicated bookkeepers who will handle everything for you. So no more data entry, no more data crunching, no more headaches, plus it’s reasonably priced. And the best part is you can get 20% off your first six months if you go to bench.co/mywifequitherjob. 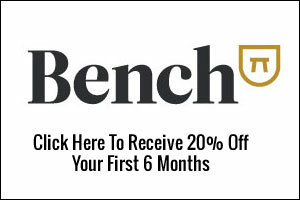 Once again that’s bench.co/mywifequitherjob to get 20% off your first six months. Now back to the show. Steve: So there’s another example you gave I think on a different article where Houzz was putting in links on their widgets or something like that. I mean is that blatantly black hat too? Glen: Yes. I tend to find black hat as hacking websites and stuff like that. It’s very negative term to me, so I will put this more on a grey hat side of things. So what they were doing, so Houzz, I think they are going to IPO next year and probably for a few billion dollars they’re valued at the moment, home design community. You can put a widget on your website showing like bathroom photos or the latest house photos in that community and so on, and what they were doing is they were sticking in I think it was about ten links to all of their pages on their websites if you installed the widget. So you think the widget preview just shows you that you are going to get nice bath photos that you can put on the side bar of your home design blog, but in reality when you install the widget you had ten links to all of these different pages on Houzz. Now I audit them, I don’t really like auditing, but I hated seeing this, because there are a lot of webmasters who had no idea. They are just normal mom and pop bloggers, whatever. They don’t think about link building and SEO, they are putting these widgets on their site, and they’re suddenly linking to all of these pages on Houzz. Steve: It’s clearly working, right? Glen: Yeah clearly working. Their search traffic was through the roof. And so I checked a few months ago, and although they removed it previously, they have now added one link back. It’s fine to add a link in a widget, but should really be no followed again. That’s kind of telling Google don’t count this link as something for search engine rankings. They are not doing that. They certainly should know that there should be no following that link and they’re linking to the photos pages on their website. I’m pretty sure it’s just houzz.com/photos and that’s H-O-U-Z-Z for anyone again for people listening houzz.com/photos, but that links to all the other main pages on their site like bathroom photos, bedroom photos, kitchen photos, and those such terms they’re ranking pretty number one for everything in Google. Their search terms are sending them hundreds of thousands of visitors every single month. So again they went back to the kind of that shady grey hat ways, they are putting links on people’s website that people don’t know about, and they’re getting a lot of search traffic in return. Steve: How do you feel about, let’s just take about a WordPress plug-in for example, like a free plug-in, but within that plug-in there’s like a little back link going back to their site? I mean does that tactic work, and how do you feel about that in terms of risk? Glen: If the link is– on a general level forgetting about such changes for a second, I think that’s fine. If you’re using a free plug-in and add something to your website you give credit to the author. Now when it comes to search, Google recommends and strongly recommends that you no-follow that link again. So you’re telling them don’t use this link as something that would count for my search engine rankings, but it may send me traffic from that website to mine which is fine. Steve: Houzz has been getting away with this right, maybe because they are such a strong domain that it doesn’t matter as much? Glen: Yeah, exactly that’s pretty much my theory is that because they have many types of links anyway, some that don’t fit into the ideal criteria, they are left alone. To be honest that theory was thrown away when we see what happened when Hearst Media sent all their links to BestProducts.com. They didn’t have any other type of link, just links from every page in the footer of their other websites and now they are just ranking for everything in Google. Again this is the reason I test so much, and the reason I write infrequently, but when I do I try and cover something in such depth is because what Google always say and what they recommend and what should be the case is actually very often not the case at all. Houzz get away with it one because Google didn’t find it. They are definitely not as smart as we think they are. Two they have a strong brand and they have so many links that they negate the less quality ones. Again Best Products showed us that Google just aren’t good at saying these links shouldn’t count. They’ve got to scan what billions of web pages every day, rank for billions and billions of different search terms. There’s going to be a lot of things that they get wrong. Steve: One thing I wanted to talk about is a lot of people listening they are not going to have really strong domains or really strong websites. I wanted to just switch gears a little bit and just talk about how you would proceed to rank let’s say a brand new ecommerce site in search. What would be your strategy at a high level? Glen: The first thing I would do is just make sure all my onsite stuff is good. I don’t have a lot of duplicate pages. I’m not duplicate content everywhere; you want have a unique descriptions for your items and so on. Just always, although links are the most important factor you definitely just want to make sure you take care of the fundamentals to make sure that when you are getting links that they actually have a bit more effect. If I was going to start a brand new ecommerce blog I would definitely focus on trying to be creative and very transparent. I’d have a blog on there, content marketing. Although I’m focused on a lot of other aspects of link building I actually enjoy content marketing the most. I love having ideas for content and actually putting it out there. Steve: Let’s talk about that a little bit. How important is it to be deliberate with the keywords that you are targeting for a post as opposed to just making something go viral? Glen: Well the thing that you have to keep in mind is that links to a page to spread throughout a website. They started ranking for slipper related terms but if people are searching for slippers they don’t really want to read an article on big slippers, they want to actually buy the product. What you have to do is there’s two things; first of all keep in mind that the link authority and link juice whatever you want to call it should theoretically flow through to other pages on the website so you have your category pages ranking higher naturally. The other point is make sure there are elements on the page, on that page that will direct people to relevant product categories on your site. For example Amazon, they rank for pretty much everything but those internal pages don’t actually have a lot of back links. It’s just because their domain as whole has built up so much authority. As long as you are getting links from other sources they don’t always have to be for specific keywords to a page that you actually want to rank high in Google when people are searching for product terms but it should help your website authority overall. Steve: Interesting, because right now for my blog I always take the time, I fire up Long Tail Pro, and I look for keywords that I can rank for pretty easily for the post but it sounds like I should probably be mixing those up with maybe viral titles to just attract more back links which in turn will spread that juice to my other posts. Is that accurate? Glen: Yeah I think it depends on the audience. For your blog, you have a specific audience. I think it would be a bit strange for them if you suddenly started writing things with click bait titles that were clearly designed just to attract links. I think that might put your audience off a little bit. Whereas an ecommerce brand they don’t, if they don’t already have a following like you said it’s a new site they can test new things and get away with things a little bit better. One website I found doing very well with this was a … I think they sell kilts and just men’s clothing basically. They created a tactical army kilt. They created this kilt with all these pockets and so on, and it was a fake product, but everyone started talking about it and they got many requests that they actually made it into a real item, a kilt that you can actually take into battle with you. Yeah it got a lot of people talking. It depends on your audience. I’m trying to think of a big clothing brand. Like a Louis Vuitton or Gucci or something like that it would be very bad for their brand to try and put out these viral stuff in order to get links and so on. For someone just starting out in this specific niche industry can definitely be a way to get people noticing your brand. Steve: How do you feel about having the blog on a sub domain as opposed to the main domain which is what you might have to do with if you use a fully hosted shopping cart for example? Is it an absolute no, no? Glen: I definitely prefer a blog to be on a sub folder. How Google worked for a long time and I believe this still to be the case is that a sub-domain is essentially being thought of as a new domain. Any “juice” that you want to pass from the sub domain to the main site isn’t really there unless the blog itself has a lot of links to it. Whereas as you are on a sub folder the authority of the main domain is passing authority to those sub pages and now those blog articles can rank higher because of the authority of the demand. Preferably if you have the option definitely you put a blog on a sub-folder. If it’s going to be an integral part of your marketing anyway and you are going to be taking it seriously people are going to be linking to your blog. If it has to be on a sub folder, people have made it work, it’s definitely not impossible but ideally it would be on a sub-folder for me rather than a sub domain. Steve: Okay and since we’ve been talking about grey hat tactics would you employ any of these tactics to give a boost to an ecommerce store if you were starting out? Glen: As long as they know the risks involved then it’s something I would do. For example if I could get someone on the Huffington Post I don’t know what I’m selling. Let’s just say I’m selling a new line of designer glasses. Glen: If Huffington Post are doing a blog post, if they have a writer who talks about accessories and fashion and stuff like that. If I could suggest to them do a blog post comparing the UV protection of cheap sunglasses compared to for a dollar or those that costs $300. Giving them ideas for content and getting links from them and maybe the case that it’s a friend of mine or I paid them for that mention. Or I gave them advice in their own websites, in their careers, something in return for that link. In Google’s world, ideal world I wouldn’t get that link or it shouldn’t count because I actively went out to seek that link unnaturally. Whereas to me what … I guess the simple solution is to try and build links that will also send traffic. Do people really go and check out the sponsor’s page of phpMyAdmin? Not really, do they really go and click on these links not really. If I’m commenting on blogs or I’m participating in forums or I’m trying to offer great content on my website all of the things that could also get traffic to my of site then it’s generated the links I would want to build. Sometimes there are … Google have made it so that people are scared to do any link building. In their eyes pretty much anything could be seen as grey hat if it’s not somehow I just got … Randomly got a link from these websites, it just happened. I actively go out and seek links. I guess that’s always seen as against their guidelines, but for a new site I’ll definitely try and reach out to influencers and authorities and see if there is any way I can get them to talk about me and of course send links back to my site. Steve: Using that Huffington Post example, essentially Google has forced us to use social engineering to get these links. I was just curious what your strategy would be to reach out to someone on Huffington Post in your example who is writing about fashion or whatever that could be relevant to your store. Glen: Sometimes it’s very obvious and that someone is already sending out links that are on a page basis. For example there is a guy … I’m not going to say his name. There is a guy who writes for Businessinsider.com in their wall room section. Very clearly half the articles he writes are … I don’t know if it’s him personally being paid or Business Insider trying to do in content ads or whatever it is, native ads if you want to call them. Steve: No that’s fine. What are some elements that you can instantly determine that these links are paid for? Are they just totally out of context or? Glen: It’s just too much promotion and nice things and so many links. The one I saw recently was like this guy writes the best blog on this topic and then with a weird keyword link. He also just has a new book coming out which you can find here, I really recommend it. It’s just whereas if Mark Zuckerberg does something they’re really critical. Whereas this new guy who no one’s ever heard of they are super nice about it and they just want to link to all pages of his website, which really stands out to me. Yeah you can just watch, for example one person I found recently is actually a team of people, 4 or 5 guys. I just noticed that in half the articles they were writing for Forbes and Entrepreneur they were all linking to each other. Steve: Interesting and when the people do respond do they just give you a rate sheet or how does it usually work, the conversation? Glen: Funnily, if it’s a website, if I’m buying the link directly from a website and not a writer for one of these things they will literally reply with 2 sentences. “Hey Glen … “Actually I don’t use my name but will reply to the person the alias that I’m emailing from. If they see it’s from ViperChill as they go its, he just wants to write about me and selling links or whatever. They will say, “Hey yeah homepage link is $20 a month, if you want me to write a post for you its $100. If you want me to write the content it’s $150.” They’ll be very, very direct in their response a lot of the time. Other people will dismiss it. If you do email someone who would never accept money which is a lot of people they will just ignore the email. Other people they are, “Yeah what do you have in mind.” I have an upcoming article on X, I could probably mention it, would you pay for that and so on. Steve: Okay how do you feel about services like Tomoson which are places where you pay money for bloggers to review items? Glen: What was that website sorry, Tomoson? Glen: I don’t know about it personally. Steve: Okay or just sites in general that hook you up with bloggers that are willing to review products. Glen: Well the one thing that you have to be wary of is one of the links no follow or due follow, are they going to pass any juice? If they are generally the ones that aren’t going to be passing link authority, link juice. If they are is it easy for someone else to be able to do the same? Can a hundred people go to that same person and get links that’s going to look a bit dodgy for your website. It’s going to … Maybe they are going to get flagged in the future or something like that. The one thing you want to be careful of in any network is you want to make sure that you don’t know about the website upfront. I don’t want … If there is a big database of all of these people selling reviews then that’s a bad sign. It’s very easy to see then of course someone else can see that, someone else being Google staff could see that and potentially crack down on that also. As far as traffic and stuff goes again now everything is about search. If it could send you traffic go for it but probably you might want to as for that link to be no follow. If you are trying to get due follow links then just make sure it’s not too easy for everyone else to do the same and then not too obvious about what they are doing. Steve: Okay and I’m just curious I’m jumping around a little bit here but what are your views on just content on your blog in terms of being a little thin? For example let’s say you had a blog for 5 or 6 years and some of your earlier posts are just really crappy. Do you recommend going back and deleting those or going back and rewriting them to make them much more complete? What are your thoughts on just kind of going through your old content? Glen: Yeah I think I’m actually doing that right now. I rank 4th, 3rd or 4th in Google anywhere you search from, for WordPress SEO. I’m actually going to talk about interesting little text here right now and that post written in 2010 or ’11 I think it was. It still ranked for that even though it’s 6 years old. I have actually been working, that was around a 3,000 web post. It’s actually now a 10,000 word post in Evernote. Steve: I was about to say 3000 words is pretty short for your Glen. Steve: Just turn those into much more comprehensive resources? Glen: Yeah more comprehensive resources and just implementing things that are more talked about today. For example content upgrades, where you can offer someone a PDF of your post or a checklist that they can follow. They weren’t popular a few years ago; people didn’t used to use them. Now you can implement that in an old article and start getting more email subscribers for that post. That’s exactly what I’m going to be doing on my WordPress SEO article. Making a more comprehensive, more up to date, more relevant, checking that the sources that maybe you linked to in the past still exist and so on. Maybe adding content upgrades, maybe linking to other relevant pages and posts on your site that you didn’t have previously. Going back to what I did, that … like I said the articles was written in 2010 or 2011. Around 3 years ago Google made a massive update around freshness. Pretty much all search results had a date in them when the article was published. You’ll see that now you can search for anything, personally development, marketing related. You will see a date for a lot of results, not all of them for when the article was last updated. I had dropped to … What I did first of all it looked bad. I thought people were going to Google searching for WordPress SEO in 2013 and they are seeing my article is written in 2010. They are probably not going to click on the result. I added a line of text, the first line of text in the article I changed it to last updated June 2014 or something like that. Within a few days Google noticed that change and everyone then assumed my article was fresh, I didn’t change anything else on the page. Glen: I only changed the first sentence and then it looked like it was a more relevant article. Now I actually did this, I am planning to update the post but I did this as an SEO experiment very recently. I once again changed it. If you go to viperchills.com/wordpress-SEO the only thing I changed in the article was the first sentence that says last updated March something 2016. Now the reason I did this is because my page had dropped to 7th or 8th. My ranking had dropped 7th or 8th in Google for WordPress SEO and WordPress SEO guide. Now 2 years later I updated that text showing that it was more fresh and my rankings have came back up to 3rd or 4th. It’s just something slightly unethical at least if you haven’t actually updated the page. For me it was an experiment to see are Google still giving value to content that they believe is more fresh, and I definitely believe that is the case. Steve: Do you think that’s why comments are important because when someone leaves a comment technically that updates the page right? Glen: Yeah originally, and I’m actually working on a big article for this that’s why I’m interested in it right now. Is that originally comments didn’t seem to be affecting the date that Google were picking up on. Actually a lot of bloggers that removed their dates from their comments because they didn’t want it to look older than it was. You’ll see that in Ramit Sethi, my friend Ramsey. Steve: The same thing I did too yeah. Steve: It was more because I didn’t want someone to come in and see an old article and just immediately dismiss it. Glen: Right okay, yeah I can understand that. Definitely a lot of people did it for SEO reasons. I faked that in a way but I do plan on updating the article. As I was saying comments didn’t used to seem to be noticed by Google, however the dates are now. A good example of this is Udemy, the online training community. Steve: Interesting. Okay you are suggesting that adding the dates back into the comments might be valuable from a freshness perspective? Glen: Absolutely, and but of course there is the other side of the coin like you said someone comes to my article in WordPress SEO they see a comment from 2010 they would concern that it’s still relevant today. Steve: What are your views on the disavow tool and removing potentially bad backgrounds? Do you ever use that tool at all? Glen: Yeah I think it’s a huge pain to be honest with you. It’s like Google are outsourcing their own job. As I was saying earlier it would be so nice if Google just … If they could just figure out we are not going to count these links. You don’t have to disavow them but we are worth more than $100 billion we are just going to … We are going to use our engineers and find out which links we should encounter. We are not going to count those links, whereas they are saying, “Go out there and actively tell us which links you have that you don’t think are relevant.” And we are in Google’s playing field so there is not really too much we can do about it. If you do have a lot of links and you have warnings and stuff and webmaster tools then it’s just something that you have to do. Steve: Okay you do use it but only when you get a warning or do you proactively do it? Glen: Yeah if I’m taking on a new client then I’ll proactively do it just to … If I’m going to be building good new links, I want them to have the best effect possible. I don’t want to it to be, the website to be hindered in any way from any previous link building and stuff like that. If I was taking on a new client it’s something I would look into proactively. Steve: I want to like end with a friend contacted me, and he knew that I was talking to you today. I just want to ask one of his questions to you. Steve: He has this domain and no matter what he does, and there is no panel he is associated with it, he can’t get anything to rank. Is it fair to say that there are certain domains that are just dead to Google and that you should start with a brand new domain? Have you ever seen that happen? Glen: I have seen that yeah. Actually funnily there was a period 2 years ago when all dot info domains were removed from Google. There were slip offs that Google can make where a domain just doesn’t get rankings. There was a case I’m trying to remember the name, I think it’s Slash Film, a very popular movie review website. All of a sudden they lost all their traffic overnight, and there was a lot of other movie review websites complaining on Twitter saying hey we’ve lost all that traffic. Eventually one of Google Googlers got in touch with them on Twitter saying, hey we had a little mistake there, we are going to rectify it in a few days. It’s something that Google can do on their end and you may not get any warnings, you may not really know about it. It’s definitely possible that something’s happened to that particular domain and you should start new. Before he does that I definitely rule out that he’s just … Make sure he is not ranking just because he doesn’t have links or it’s very, very competitive and so on. Yeah definitely rule all of the obvious stuff out before he does go and create a new website. Steve: Okay, hey Glenn we’ve been chatting for quite a while, and I want to be respectful of your time. I learned a lot today. Where can people find you if they need either your services or they just want to check out what you have to put out, or if they have an hour to read one of your posts? Glen: Steve, thank you so much for having me. Sure they can find me on Viperchill.com that’s V-I-P-E-R-C-H-I-L-L, that’s the same username for Facebook and Twitter. Yeah just pretty much ViperChill is the best place, we can go from there. Steve: Okay and you guys should really sign up for his email list, because in my opinion you can correct me if I’m wrong, you put out stuff on your email list that does not go out on your blog or anything, right? Glen: Yeah, actually the first email I send if you join my email list is more than 40 … more than 30,000 words of content that I don’t link to anywhere else, just in the first email. Steve: Yeah, but his posts are really addictive, and you should just go checkout his blog first and if you like what he puts out then sign up for his list by all means. Glen: Thank you very much Steve. Steve: All right Glen, thanks a lot for coming to the show man, I really appreciate it. Glen: Cheers man, have a good one. Steve: All right take care. Hope you enjoyed that episode. What I love about Glen is that he’s not afraid to talk about this grey hat SEO techniques. He never hesitates to call out larger companies for their actions. He always tells it like it is and he knows a tone about SEO from practicing what he preaches. For more information about this episode go to mywifequiteherjob.com/episode128, and if you enjoyed this episode please go to iTunes and leave me a review. It is the best way to support the show, and please tell your friends because the greatest compliment that you can give me is to refer this podcast to someone else either in person or to share it on the web. Now if you are interested in starting your own online business be sure to sign up for my free 6 day mini-course where I show you how my wife and I managed to make over 100K in profit in our first year of business. So go to mywifequiteherjob.com for more information, signup right there on the front page and I’ll send you the course via email immediately. Thanks for listening. Outro: Thanks for listening to the My Wife Quit Her Job podcast, where we are giving the courage people need to start their own online business. For more information visit Steve’s blog at www.mywifequiteherjob.com. Honored to be on the show, Steve.